Lotus Natural Food for pets is a company with a strong dedication to creating a dog food you can be proud to give to your best friend. Many dog owners have begun to realize the high responsibility placed upon them to keep their dog healthy and mentally fit into old age. Incorporating a healthy and pure diet into the life of their dog used to be deemed a luxury, but in our modern well researched society, dog owners have begun to fulfill the dietary demands of their dogs and mirror the diet of the dogs after their own. Keeping the commitment of offering their dogs healthy whole food options is not as challenging as it once was given the high amount of knowledge we now have in regards to foods and their origins. Science has begun to show the special compounds of minerals necessary to maintain the overall wellness of a dog. Using Lotus products and their raw, whole ingredients can help build the developing body and brain of a puppy, or help nourish and improve the body of a senior. Using food as medicine and food as preventive care can do wonders for a dog of any age, and Lotus takes their responsibility of providing health seriously. 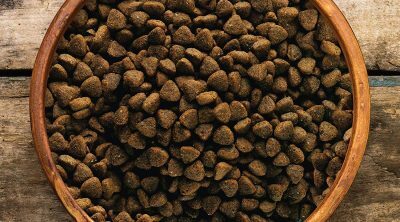 The diet of a dog must be based upon a strong foundation and developed according to their specific needs. The nutrition levels of dogs are as important as of humans, therefore Lotus dog food is one that a responsible pet owner can feel safe and comfortable in offering their furry companion. The holistically produced oven-baked dry foods and other product lines of Lotus, including canned stews and raw foods, are all formulated with one goal in mind. The goal being: to keep your dog healthy and happy from the inside out, using pure foods that are beneficial. The purpose and continued goal of Lotus is to provide the highest quality nutrition for every dog that is lucky enough to be fed one of their many delicious recipes. The only way in which to offer the highest quality nutrition is to begin with the highest quality ingredients. Lotus seems to understand and enact this philosophy more than other lower quality competitors. Basing a business upon the needs of the client, in this case the dogs, is one that is not only smart on the business sense, but humane and respectable in the canine sense. Rather than focus solely upon profit, Lotus builds its product upon the needs and wants of the dog. Beginning from the very start with a puppy, a dog owner is able to establish a strong foundation of health when using this selected brand. Lotus understands on their part they must begin from the very start – the ingredients. Combining both together offers a healthy and whole diet sure to beget strength and wellness for life. Recipes are developed according to a particular life stage and developmental process. Each recipe is akin to the specific nutrients needed whether your dog is a puppy or a senior. The raw dog foods from Lotus try to mimic the type of foods that dogs would have eaten when their ancestors hunted in packs thousands of years ago. Adhering to the ingrained and evolved diet of the wild dog is a point of pride for Lotus given that old fashioned processed kibble was a long way off from serving the true needs of the canine. These raw offerings in Lotus food are free from pesticides, antibiotics, and growth hormones. Just as in the wild, the dogs that eat this food will not also be ingesting harmful chemicals. True, raw meat is just that. Raw. Why add in preservatives and toxins that are unnatural and cause potential distress and imbalance in the body? Artificial additives, preservatives, coloring, and flavoring are also nixed from these Lotus product blend recipes. 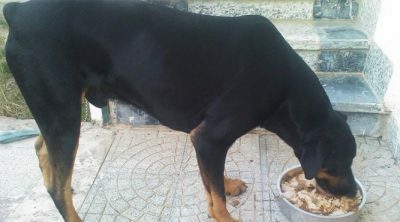 This is the type of food you would choose if you were a dog: real, raw, and easy-to-serve frozen patties made with on the bone chicken and chicken liver, as well as fresh fruits and vegetables. 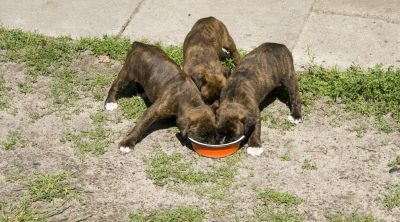 The dinner you feed your dog may even be healthier and more natural than the food you feed yourself! A dog truly needs food that is as closely resembling to all natural food sources found in the wild. Matching the food ingredients and recipes together will help guide you in the development of a proper diet plan for your dog. The ingredients in Lotus are all wonderful additions to the diet of any dog. The meat is raw, the veggies are also raw and free from harmful chemicals and additives. The ingredients are whole foods and grown and harvested naturally. The recipes within each food are loaded with proper ingredients determined to offer the most of each mineral when compounded with others. Lotus uses high quality, locally sourced proteins (such as lamb and chicken) and includes the fresh fruits and vegetables needed to round out the diet. Lotus also includes vitamins and minerals all mixed with omega-3 and omega-6 enriched oil to help maintain a healthy, shiny coat and skin free from dry patches and irritable flaky areas. The carbohydrate components are provided by energy rich barley and potatoes – and who does not like a potato or two at dinnertime? Your pup is not much different! The raw and frozen chicken patties Lotus offers can form the basis of any dog’s diet, can be kept as a weekend treat, a reward for good behavior, or just because you love them like they love you. The amount of fruits and vegetables in this meaty feast is also impressive with spinach, broccoli, organic apples, organic blueberries and organic bananas to name just a few. The first listed ingredient on the Lotus brand is lamb. Having a protein source derived from an animal as the first ingredient is the sign of a good, well made food. Dogs require protein from animals to survive, and the more lean the meat and the higher the protein, the better. Lamb is a wonderful meat source, but in this instance, the lamb is reduced to mostly water after cooking. Lamb meal is the second ingredient on the list. Lamb meal is better than regular lamb listed first in that the lamb meal is a blend of lamb meats. The blend offers much more more protein (300%) than simple lamb and is also easy to digest. Next, Lotus has rye listed along with pollock and ground brown rice. These ingredients sound like the addition of a side dish, but are actually used as blend within the food that creates a filler that is nutritious. Rye is not highly nutritious but is related to barley and resembles cereal. Pollock is a whitefish, rich in protein and sourced from America. The ground brown rice is a substitute for flour and is gluten free. 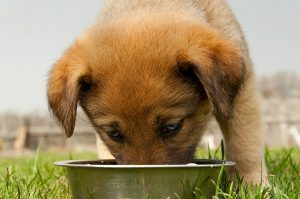 Keeping dog foods free of gluten has become a high priority for high end dog food manufacturing. The last of the Lotus ingredients are dried egg product, barley, oatmeal, soybean oil, flax seed, pea fiber, and brewer’s yeast. 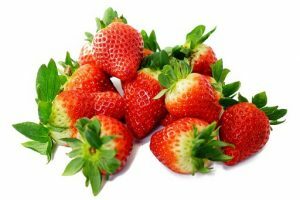 These ingredients together add up to being a bit of a filler compound, but one that is justified due to the nutritional nature of each ingredient. Barley is a carbohydrate but also has fiber to offer and can help keep blood sugar levels balanced. Oatmeal is gluten free and offers vitamin B as well as fiber. Dried egg products are easily digested and can contain many more nutrients than meat due to the dairy factor. Organic soybean oil is added to increase the omega 3 and 6 fatty acid content. This is important due to the correlation between fish oils and health of the brain, heart, blood, eye, skin, and fur of your pet. Brewer’s yeast is added for the nutrition content and the filling ability. All of the ingredients together in the Lotus recipe work as compounds, increasing the mineral quotients and raising the vitamin levels. The ingredients are also natural and whole, comparable to the foods your dog would find in the wild. The evolutionary taste preference is there for your dog as well as the evolutionary dietary needs the dog’s body requires. The dry food line focuses on healthy proteins and fruits and vegetables. Lamb, poultry and fish form the bases of these oven baked nuggets of nutrition. Lotus has trademarked the way that these are cooked in the ‘Baked-in Goodness’ method which does not extrude the ingredients in the manner that most dog foods are produced. The kibble is cooked at very low temperatures for longer than normal in ovens which although are a lot bigger, are just the same as the ovens you would find in any kitchen. Spray-on fats and flavors are not the way they do things at Lotus and their exacting quality control methods to ensure that consistency is just that, consistent. The Oven-Baked line comes in with Chicken Recipe for both adult and senior dogs, there are also Oven-Baked Lamb, Oven-Baked Grain Free Fish Recipe, Oven-Baked Grain Free Duck Recipe and Oven-Baked Grain Free Turkey Recipes to choose from so you are really spoiled for choice. 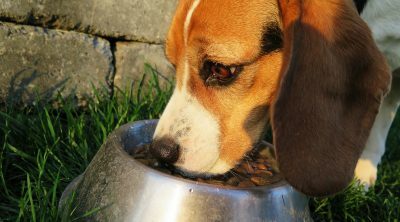 More and more dogs are becoming sensitive to dog foods that contain too many grains; these can increase the occurrence of allergic reactions and problems with the gastrointestinal tract. Cutting out grains and gluten seems to be good enough for the health conscious hipster kids of today (even if very few of them are celiacs) so why not do the same for your dog? Lotus has created a wonderful blend of dried foods and treats for your pet, but not all dogs prefer kibble or have the ability to chew crunchy foods. If, on the other hand, your dog has never really taken to dried kibble, do not fear. Lotus has created a canned line of products that may put a tastier meal in their bowl than on your plate tonight (that’s what they think anyway). Your dog has a tremendous sense of smell and this allows them to taste a huge variety of flavors in their food. We see eating as much more than just keeping our hunger at bay and derive a large part of our daily enjoyment from our meal times so dogs too should enjoy their food and not just ‘wolf down’ any old cheap rubbish that consists mainly of fillers and by-products. Like all the Lotus product lines, these canned stews use only the highest quality proteins including turkey, chicken and beef and are accompanied by asparagus to lift the humble can of dog food to greater heights of not just nutrition but flavor as well. All of the meats are USDA inspected so you can know that they are not scraped off the factory floor of an anonymous abattoir, and the vegetables are of an equally high quality and treated with respect with cooking techniques like slow simmering to keep all of the nutrients within the final product. The canned Just Juicy option features more quality cuts of meat like pork shoulder and beef shank, no reconstituted mystery meat here. Thus, this nearly all meat formula will surely go down well with your dog and can be used along with the dry foods to add a little variety to their diet; and your dog(s) will surely thank you for it. Carnivorous animals like nothing better than fresh meat and this is what they will get with Just Juicy Recipes. Here is a $2 printable coupon. You can also save 20% every time with every order when you sign up for auto ship program. 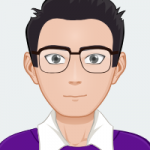 Additionally, you can check out the prices and reviews on Amazon. Most dogs, owners, and veterinarians have reviewed Lotus as a high quality dog food well loved. The food is plant based with lean, white meat blended in, but the food remains high in the protein and fiber needed for a strong body. 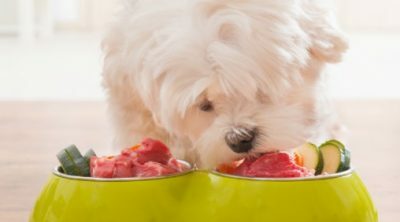 Plant based diets are not recommended for dogs, but when blended with lean meats and carefully measured to included important nutrients, a plant based diet should be considered. Be sure to consult with your veterinarian when/if altering the diet of your dog. Some dogs, breeds, and dietary requirements will determine ingredients that must be included in the diet and may be left out of certain product lines. Many online review sites recommend the Lotus Wholesome recipe and rate the food line as 4 out of 5 stars. The online food judges have a strict criterion in their ratings, and scoring the second highest rating overall is a good measure of confidence in the product. The only reason the review did not meet the full 5 stars is probably due to the plant based diet rather than meat based. Meat based diets are generally receiving higher reviews, but not every dog is suited to this type of diet. While the wholesome brand overall received a four star rating from numerous review sites, the senior blends of food did not do as well in the judging process. A couple of the senior blends (Senior Recipe Small Bites and Senior Recipe) have received a score of only 2.5 stars. Senior food should be taken as seriously as all other brands of foods, if not more so due to the special needs an older dog may have. Older dogs may not be able to chew and digest well, they may need extra vitamins for joint pain, and others may need proper nutrition for energy levels and mental health. Scoring a 2.5 shows the Lotus organization needs to review their criteria for senior food and make adjustments where needed. Lotus is clearly a company that loves their pets as much as you do and it shows in their dog food’s consistent level of quality across the board. 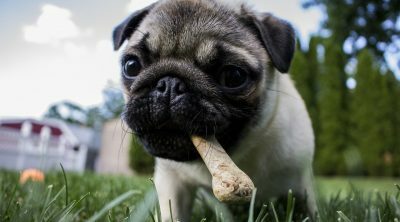 Dog lovers put their special recipe of love into each product, along with the material ingredients of food and vitamins. Consistency and a good reputation mean the most in the world of food, and Lotus has surpassed their standings and conquered the dog food world. Look out for them the next time you are in your local pet store. The Lotus food brand seems to not have had any recalls of their foods or treats. Not having any recalls is a good thing and somewhat rare in the dog food industry. When working with raw foods and random blends, cross contamination and food borne illnesses can take hold and spread rather quickly. When mass producing this type of food, avoiding error can be tough and is done through a very determined set of quality control measures. Online resources and websites do not show this brand having been recalled and there is not any information on recalls on the Lotus website. The Lotus product can be bought and served to your pet in confidence.